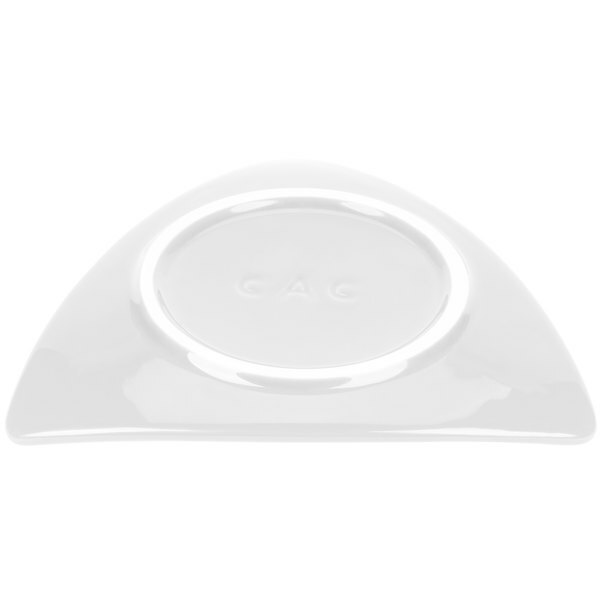 Break free from the monotony of traditional round dinnerware with this colorful CAC TRG-16 super white Festiware triangle flat dinner plate. 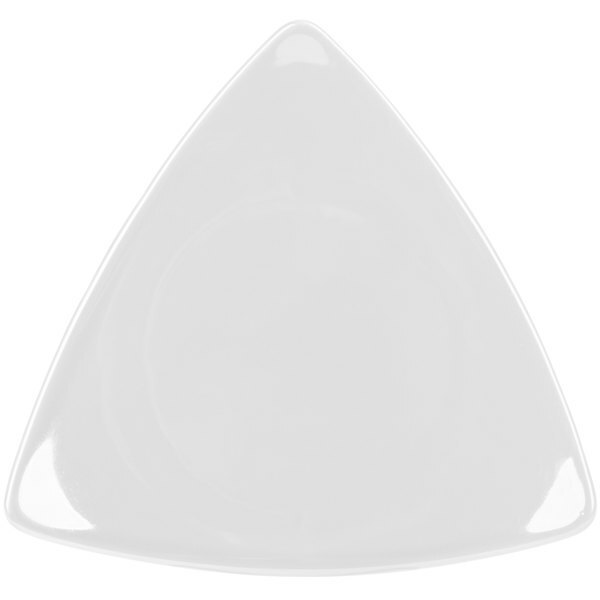 Thanks to its flat design, the Festiware 10 1/2" triangle dinner plate provides maximum space for exciting, eye-catching plating arrangements. 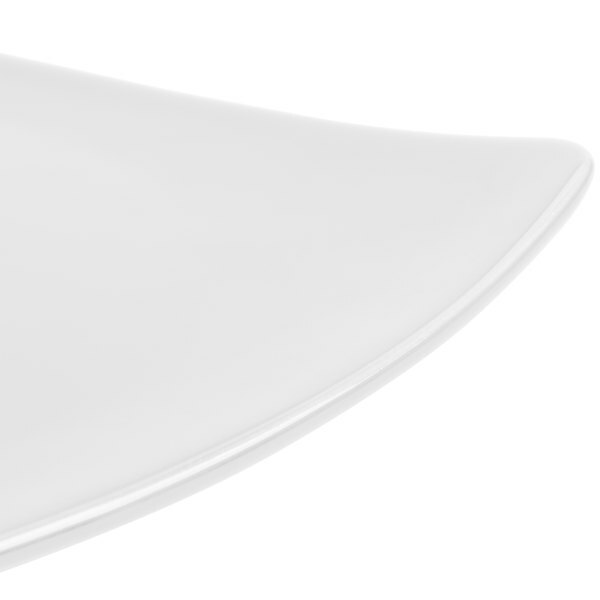 we were looking for a style of plateware that would stand out in a crowd. 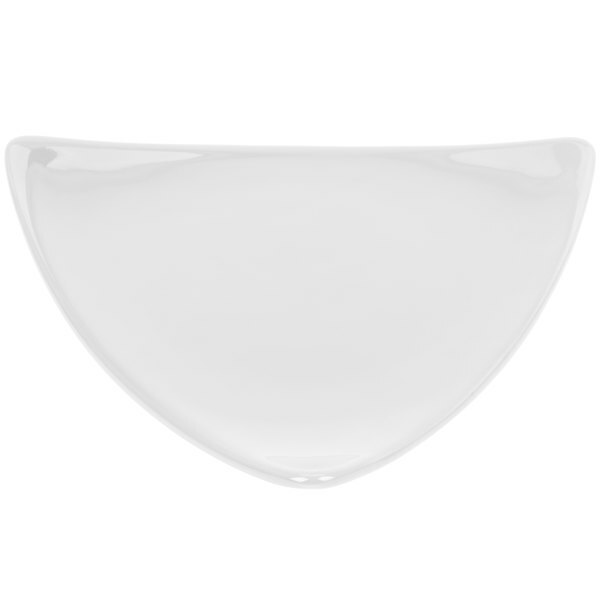 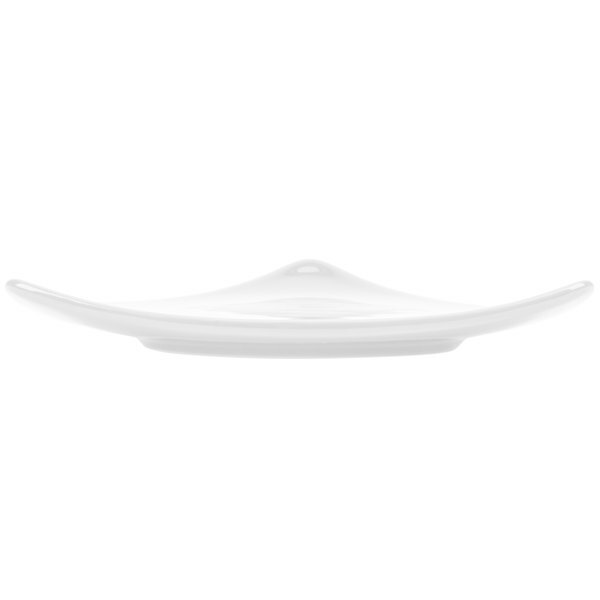 and we found it here what an awsome dinner plate, looks great and cleans with ease.